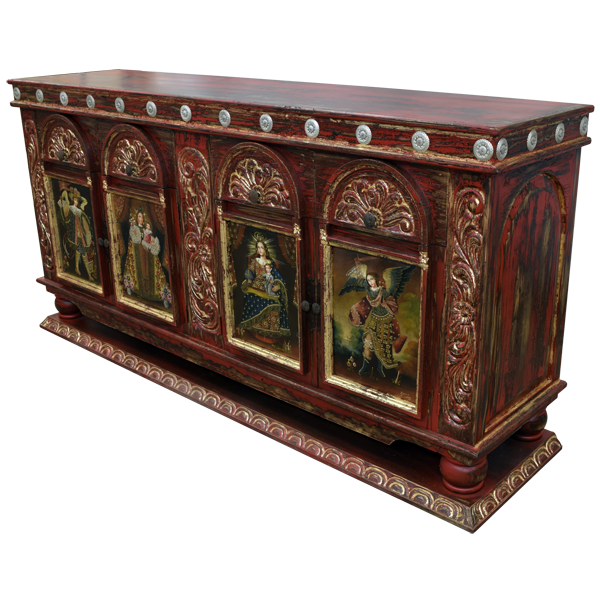 Add elegance to your home décor with this glorious, antique finished, handcrafted, Spanish colonial style credenza. 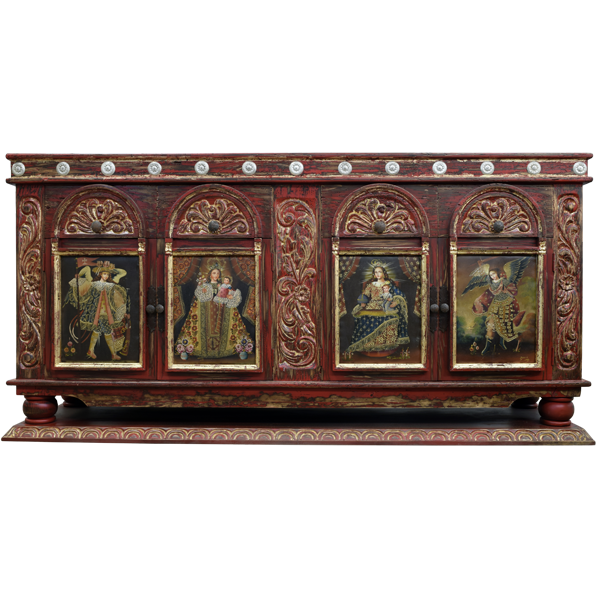 On each sides of the front of the credenza are two, opulent, rectangular, cabinet doors. 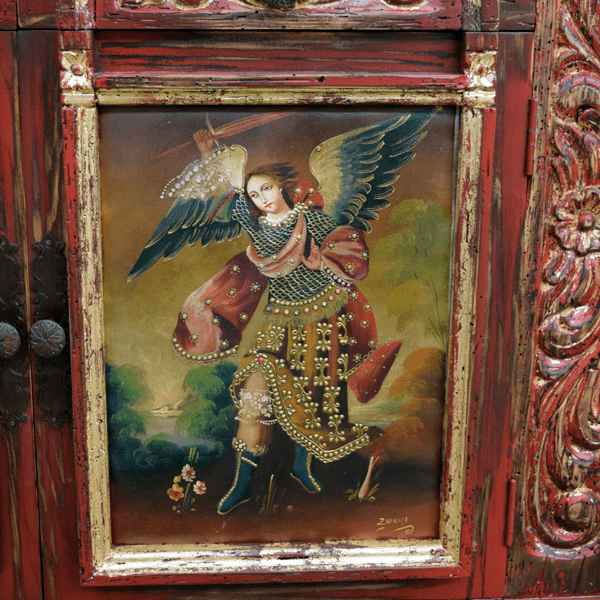 The front of each cabinet door is adorned with a hand painted, Baroque style, Peruvian painting, and each of the four paintings are different. 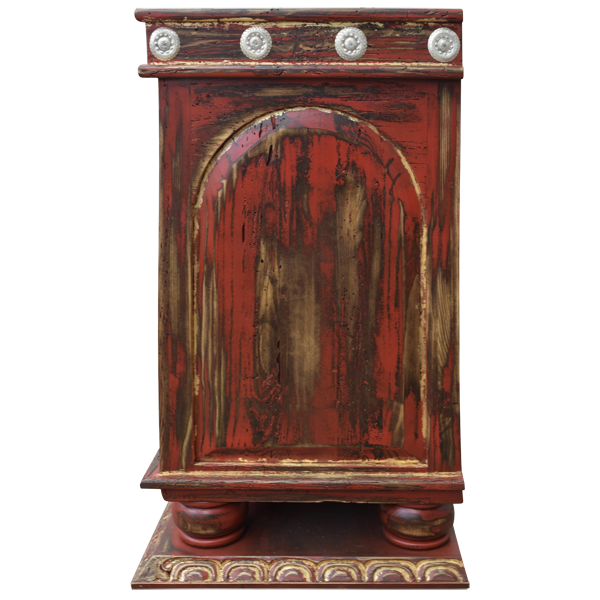 Directly above each cabinet door is an arch with hand carved, scroll designs, and each cabinet door has a hand forged, iron, pull handle on its side. Intermittently spaced on the top rim of the credenza are silver finished, hand forged, iron conchos, and centered in the front of the credenza are lovely, hand carved, floral and scroll design. Both lateral sides of the credenza have decorative, arched cut panels. 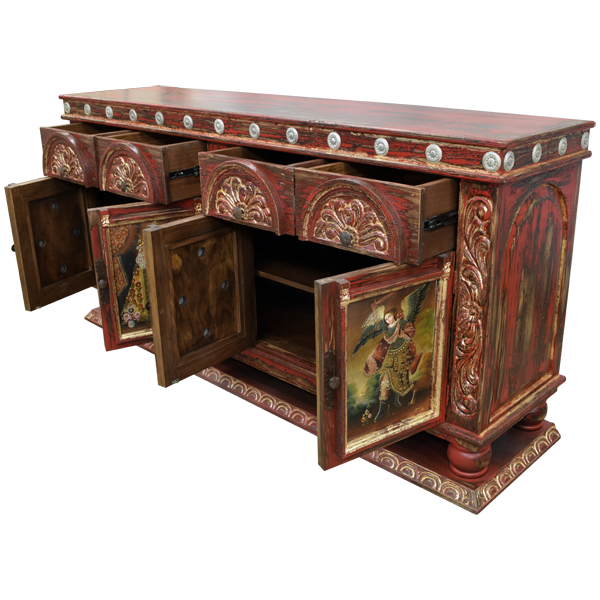 The credenza is supported by hand turned, bun style feet, and it rest on a solid wood platform decorated with hand carved, geometric designs. It is 100% customizable.